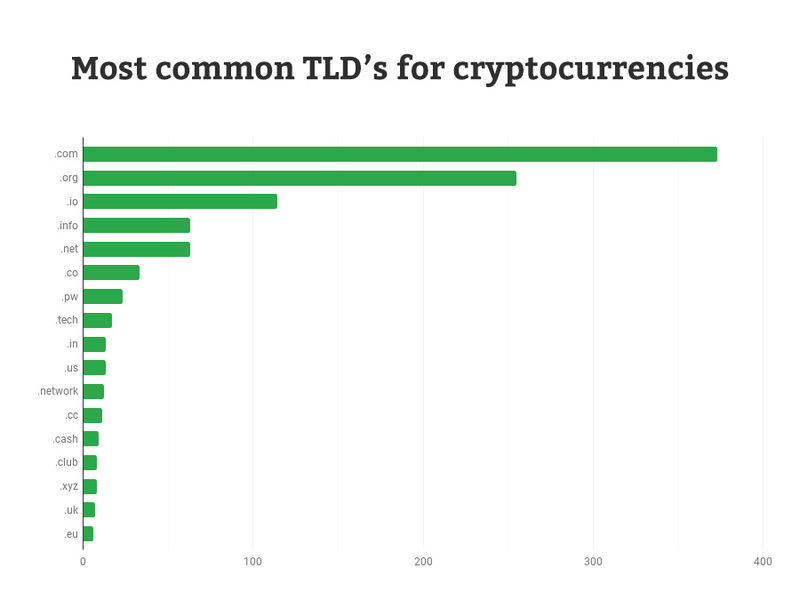 Of the in total 1157 currencies the most popular top level domain is unsurprisingly .com closely followed by .org. The .io TLD is also quite common and .info is tied to fifth place with .net. Noticeably are also .pw, .network and of course .cash. You can see the top 20 in the table below or download the complete list as CSV.